In November of 2005, Kathleen Rice became the first woman elected District Attorney in Long Island’s history. Her victory builds on an already distinguished career of public service. A Garden City native, Ms. Rice’s career has been spent fighting for victims and victims’ families and advocating for a legal system facing ever-changing challenges and opportunities. Ms. Rice started prosecuting crime in 1992 while in the office of the Brooklyn District Attorney. It was here Ms. Rice gained valuable experiences prosecuting burglaries, robberies, sexual assaults and murders. She was the first person in her class to be promoted to the homicide bureau, where she prosecuted forty murder cases. In one year alone, Ms. Rice prosecuted twenty-one murder cases, thought to be a record in Brooklyn and in the State of New York for the most murder cases tried in a single year. In 1999, Ms. Rice became an Assistant United States Attorney, appointed by then-Attorney General Janet Reno to serve in the Philadelphia office. In Philadelphia, Ms. Rice was able to utilize one of the largest and most sophisticated United States Attorney’s Offices in the country in her prosecution of white collar crimes, corporate fraud, dead-beat parents and public corruption, as well as federal drug and gun cases. In 2003, Ms. Rice received the Director’s Award from then-Attorney General John Ashcroft for Superior Performance as an Assistant United States Attorney for the successful prosecution of corrupt City of Philadelphia plumbing inspectors. During the spring of 2005, Ms. Rice left the United States Attorney’s office to return to Long Island and to give back to the community that raised her and her nine siblings. In November of that same year, Ms. Rice was victorious in her first run for public office. Since taking office, District Attorney Rice has wasted no time in creating bureaus dedicated to children and the elderly, economic crime, and government and consumer frauds. She has received credit for overhauling the office's handling of DWI cases and has successfully pushed for the implementation of a DWI court to deal with one of Nassau County's most significant problems. 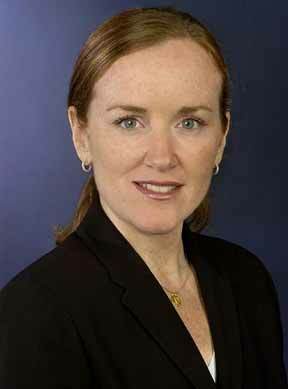 Kathleen Rice is a graduate of Garden City High School, Catholic University and Touro Law School. She is a resident of Locust Valley, New York.